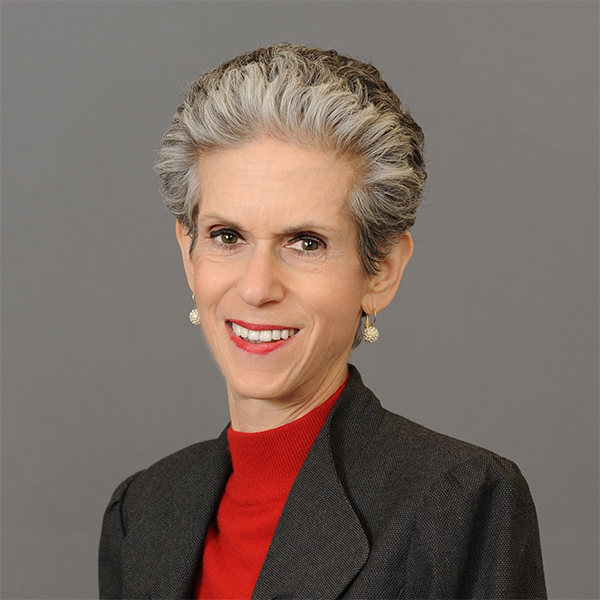 Barbara E. Kauffman sees solid lines of connection between people and organizations where others see dots or no lines at all. Barbara has a unique skill of connecting people and businesses, opening doors for companies and the individuals who serve them, to create business opportunities and establish strong bonds that lead to new relationships. She is a "go to" person who uses her deep understanding of available resources, whether in corporate, government or non-profit, to build bridges that create long lasting relationships. In addition to making connections, Barbara delivers high value events that provide a platform to make in person introductions. Her unique vision ensures that the connections she orchestrates are productive for all parties. As co-leader of the Newark Regional Business Partnership (NRBP), Barbara relentlessly drives the branding the organization to fulfill its mission to "Connect Business for a Greater Newark." She collaborates with NRBP's president to set the yearly program agenda and co-directs NRBP's involvement in Newark's revitalization. Recently, she was responsible for the complete overhaul of NRBP's communications across all platforms and is spearheading its implementation. Prior to NRBP, at Renaissance Newark, Inc., Barbara garnered support to create NJPAC in Newark and help establish light rail service from Penn Station to Broad Street station Newark. Barbara's experience also includes the creation of a walkway master plan for New Jersey's Hudson River waterfront, which started her on her path to building coalitions and making connections to achieve great results. Building networks across the state is one of Barbara's area of expertise. She has accomplished this, in part, through her long relationship with Lead NJ, as well as her ongoing board service with Executive Women of NJ (President Elect, Board Appointments, Salute Vice Chair and Dine and Connect chair, governance and finance committees), Leadership Newark, Newark Museum Business & Community Council (president 2015 - 2016), Regional Plan Association NJ Committee and Greater Newark Healthcare Coalition (subcommittee on population health). Barbara was recognized by Citrin Cooperman, Women at the Wheel in September 2017, Lead NJ in September 2016 and by Leading Women Entrepreneurs in November 2016. She is a NJBIZ "Best 50 Women in Business" and a Tri-County Scholarship Fund "Woman of Achievement". She was honored by the Executive Women of NJ at their "Salute to Policy Makers" event in 2004, and has received various leadership awards from Lead NJ, Forum of Executive Women, and the Strategic Leader Program of the Center for Creative Leadership. Barbara completed her MS in Natural Resource Management and BS in Aquatic Ecology from the University of Michigan. She also studied at the University of Nottingham, England.